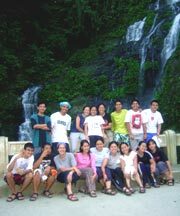 Sixteen law students started their internship program on alternative lawyering on 29 October 2007 at the Ateneo Law School, Makati. Organized by the Ateneo Human Rights Center (AHRC) and supported by the Friedrich Naumann Foundation (FNF), the program is designed to give law students the experience of living with poor communities. Interns will experience first-hand the poor’s struggle for justice and their difficulties in getting the necessary support from the legal system. The program is a mix of theoretical instruction and practical experience. The first thing they learn is that “alternative lawyering” is actually a misnomer — making the law work for those most in need of its protection should actually be the mainstream. The fact that it has come to be seen as “alternative” goes to show the deep flaws in the legal system. The participants are then exposed to many of the various legal issues facing the poor: human rights, environmental law, land issues, women’s rights, indigenous people’s rights and others. 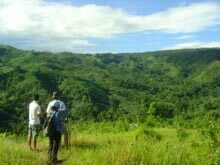 This is followed by the immersion phase in remote areas of Mindoro. The AHRC program has been running since the late 80s. More than 600 participants have completed the internship. Many have gone on to become mainstays of human rights organizations, legal aid institutions or other forms of organizations involved in public interest lawyering.